One Week to Woodturning is your complete guide to the EQUIPMENT of turning. Other books are all about techniques. They tell you which tool to use or how to make a bowl. None of these books tells you how to just get going. This book covers every aspect of woodturning gear. It explains everything from buying your first lathe to using easy finishes. From lathe to tools to accessories, it’s all laid out in seven information-packed chapters. Everything is written for the beginner. All the technical terms are explained. There’s a complete glossary at the end of the book. You don’t even need to be a woodworker to get started. I know you’re on a budget. Starting a new craft is expensive…but it doesn’t have to be. In every section, I give you all the options and focus on budget-friendly products that will save you money. I’m not affiliated with ANY woodworking company so all my opinions are honest and unbiased. With this book and a modest budget, you really can get started turning in SEVEN DAYS. All the Tips. All the Pics. One Week to Woodturning covers selecting a lathe, buying starter tools, sharpening gear, studio setup, dust collection, and lots more. I review all the different size lathes and all the features that you might want. You’ll learn about the different metals that tools are made of and how to pick the ones that are right for your projects. The book is fully illustrated with over 65 color pictures, diagrams, and charts so you can always see what you’re reading about and you’re never confused. All these images are unique to this book. You’ll never find them on the internet or in a tool catalog. If it’s a picture, I took it. If it’s a diagram, I drew it. With over a decade as a professional teacher, I can communicate to the beginner and make learning fast and effective. 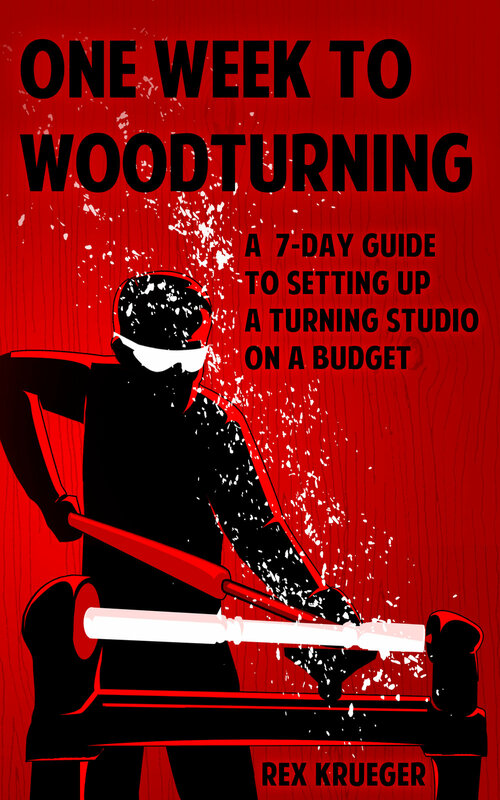 One Week to Woodturning is a Kindle ebook, so you can read it on any device. It looks great on a tablet or laptop, where you can zoom in on pictures and highlight passages. You can take it with you on a Kindle or other e-reader (some Kindles display pictures in black-and-white). You can also have the book on your phone, so it’s easy to reference when you’re at the store or lumber yard picking up your supplies. With the free Kindle app, you can easily switch between devices and never lose your place. And, at only $7.99, this is the least expensive woodturning book on all of Amazon. Get your copy today and get going with a rewarding and creative craft!